Today has already started and nothing can hold it back. 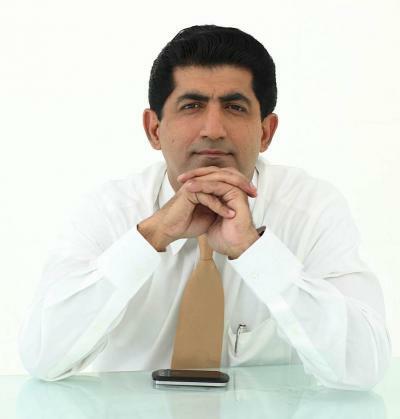 All that we can do is convert every moment into a Victory. Don't just go where you want to go, but run, jump and dance as you are going. Thats life. Enjoy every moment of life. Don't waste time. 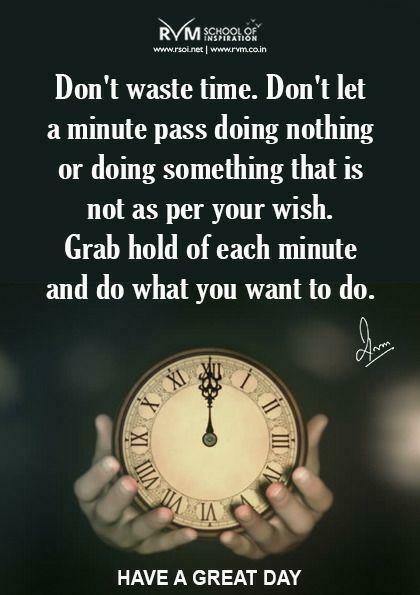 Don't let a minute pass doing nothing or doing something that is not as per your wish. Grab hold of each minute and do what you want to do. Life is made up of Moments. 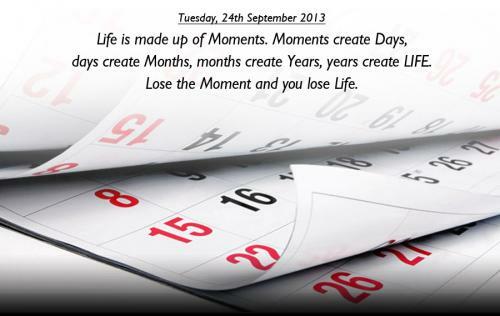 Moments create Days, days create Months, months create Years, years create LIFE. Lose the Moment and you lose Life. 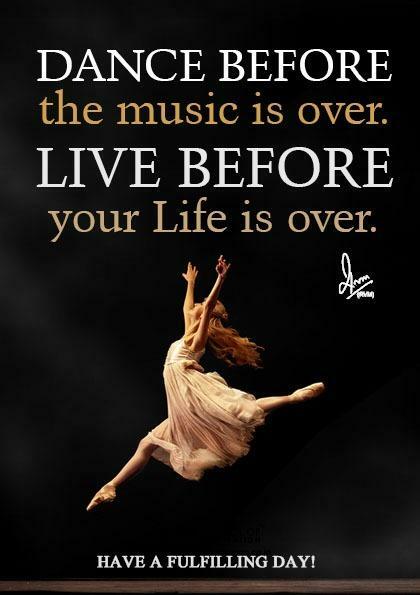 Dance before the music is over. Live before your Life is over. Never worry about the Past, it brings Tears. Dont think too much about the Future, it brings Fears. Live in the Present Moment with a Smile, it brings Cheers! Live! Don't just Exist!!! 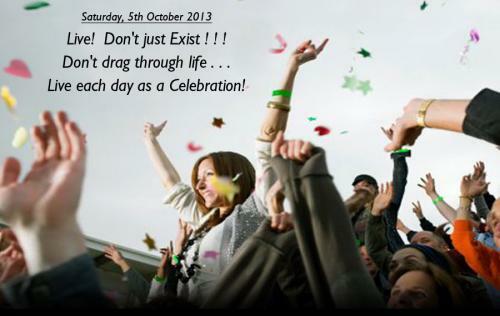 Don't drag through Life...Live each day as a Celebration.